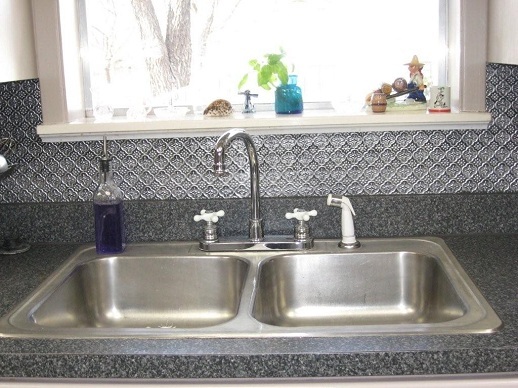 The WC70 Cross-N-Diamond is one of our most popular faux-tin backsplash rolls. The tiny crosses enclosed in raised diamonds impart a Gothic-style touch to a traditionally decorated room. Available finishes range in hue from a brilliant White Pearl to a deep Brass, while our Antique Silver, Antique Brass, and Antique Gold have a two-tone look that adds even more depth. Easy to install and maintain, these rolls are a simple way to add a complex look of interest to any room. 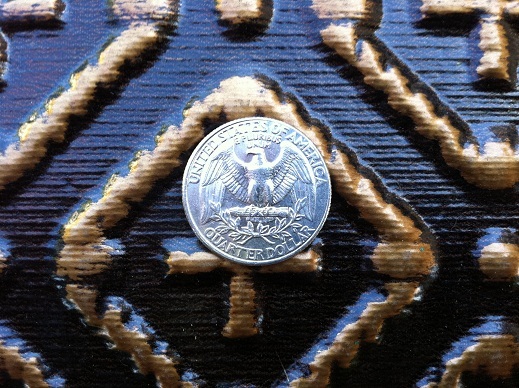 The images below may be for different patterns, if you like the pattern on the image click on it and you will be taken to the product displayed on the image. 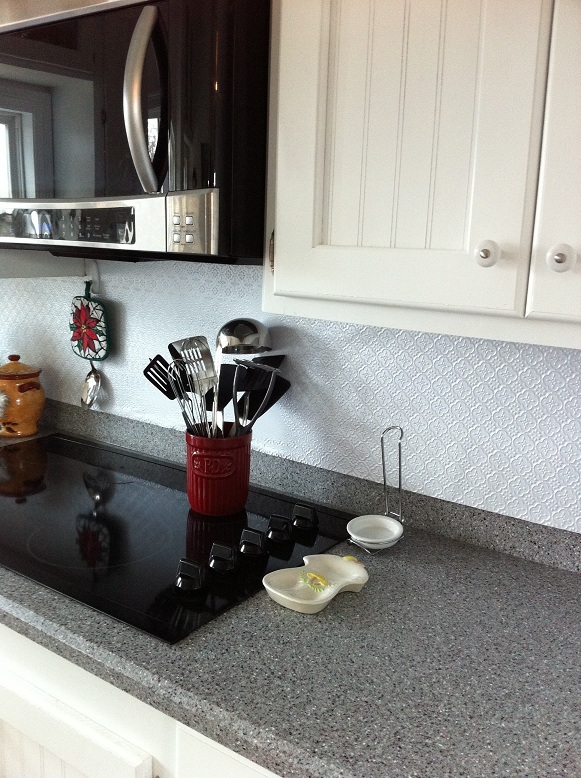 Image below shows WC 20 White Pearl faux tin backsplash roll installed in a kitchen. Click here to go back up.. Except selected colors, this item is made to order in India and returns are not allowed. Consider ordering samples first to check quality and finish. Consider ordering from our stock items to get the product faster, at a discount and also have the ability to return them within 30 days. The image may not reflect current shade of our tiles. There is a difference in shade from batch to batch and we do not guarantee that the colors will match. We strongly recommend ordering the entire quantity with overages in one order. If you are trying to match an old order, please send images before placing an order. Please order a sample to get current color. http://www.decorativeceilingtiles.net/categories/Faux-Tin/Faux-Tin-Backsplash-Rolls In this video Milan Jara of Decorative Ceiling Tiles. Inc explains what are faux tin backsplash rolls. Click the button below to add the Cross-N-Diamond - 3 " Pattern - Faux Tin Backsplash Roll - #WC 70 to your wish list.